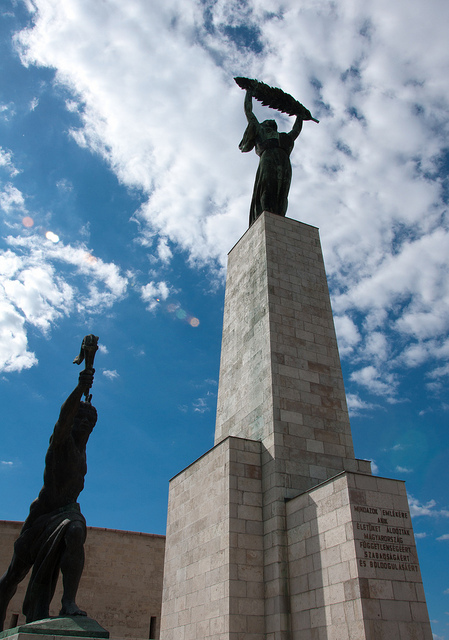 Hungary's Liberty Statue in Budapest. There are a few ways to rise to power in the modern-day Hungarian Parliament. Csanad Szegedi chose the anti-Semetic route. This 30-year old Hungarian parliament member of the Jobbik party had the (neo-Nazi) world at his fingertips and he was going to paint the town red (with the blood of Jews). But, as with everything in life, power has a price. “Neither can live while the other survives” “Winter is coming” “Against the power of Mordor there can be no victory.” ““Do or do not... there is no try.” “Why should I fear to trace my birth? Nothing can make me other than I am.” Szegedi, has never heard this last quote. From Oedipus. And now, Csanad Szegedi has revealed to the Jobbik Party, to the Hungarian people, and to the world something he recently discovered: Csanad Szeged, the famed anti-Semite, is Jewish.